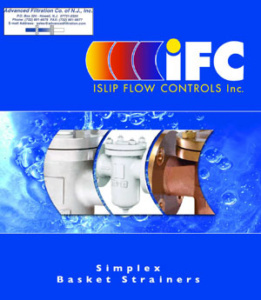 For over 30 years, IFC Islip Flow Controls has created the sturdiest and most dependable pipeline strainers, valves, and accessories that your equipment can count on. In fact, your equipment will function as smooth as new- or pretty close to it- using these top-of-the-line filtration additions. These materials forged into IFC Islip Flow Control’s prestigious designs can surmount pressure from 125 lb. to 1500 lb. so you don’t have to worry about operating at full capacity. These products all serve specific filtration purposes and can help in other ways to support the filtration processes.